At our ePlanet Scrap Metal Sydney location in Greenacre, we look forward to a better tomorrow, and for that, we help our environment by helping you recycle. Aluminium recycling is one of the most popular forms of recycling done all over the world. Let’s talk about aluminium for a moment and its importance. The most recycled aluminium comes from aluminium cans that are brought up to us by citizens like you. Aluminium is a very versatile material that does not loose its consistence and can be recycled numerous times without losing its quality. As this material can be melted and reshaped without altering, it allows us to reuse the material to create various products without affecting the environment or wasting the material. I want to recycle, how can I start? 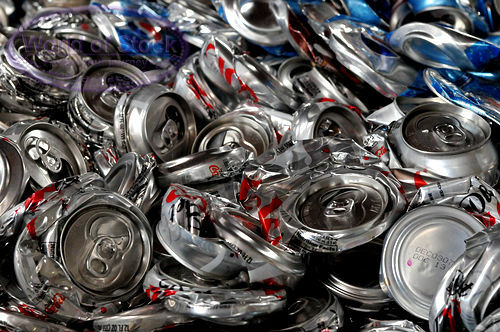 There is various amount of ways in which you could recycle aluminium; you must first identify common household items that contain the material, such as aluminium foil, used for cooking, soda cans, one-time use aluminium trays, some parts of electronics, kitchen utensils and more products with aluminium. Recycling is very easy and it doesn’t take a lot of time to do, it’s all about organizing a separate bin for recycling. Many people hold special bins in their homes dedicated to keep all aluminium to take it for recycling and earn some extra money with it. You can do just the same, it doesn’t have to end with aluminium recycling, you can use the same concept to help the environment and keep a bin for separate materials you could recycle. Besides aluminium recycling, there are other household items that have been added to our list of popular items to recycle, such as computer recycling. Sydney as a community has become very aware of the importance of computer recycling in the past decade, when computers have become a necessity more than a luxury. With computer recycling we take every usable metal part from the computer and recycle it. This reduces the need to mine through waste to find the usable computer parts; that is why it is so important to partake on computer recycling. Sydney is just 25 minutes away; bring all of your recycling to us to help the environment. If you’re not sure if your materials are in the condition to be recycled, give us a call on 02 9707 2955 or visit us at 19 Brunker Road, Greenacre NSW 2190.